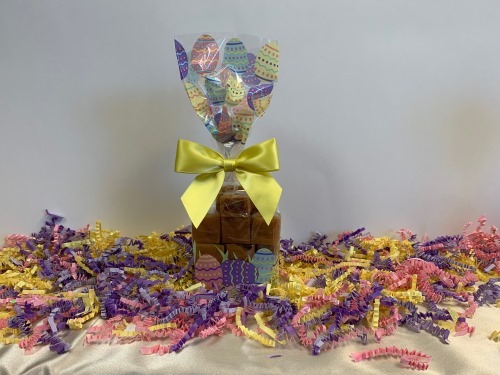 8 oz of our classic vanilla caramels in beautiful, decorative Easter egg themed bag. Approx. 19-20 candies.